Sherlock is back and if you’re as excited as me you’ll want to know when you can watch it at the earliest opportunity. The first episode of Series 4 will be broadcast on January 1st, 2017 at 8:30pm in the UK. If you’re in the UK then you can simply tune into BBC One on New Year’s day and watch as the first episode is broadcast. If you’re not in front of a TV then you can use BBC iPlayer to stream live online and if you miss it you can even use the catch-up service. If you’re outside the UK and you try to watch on BBC iPlayer then you’ll be left disappointed as you’ll be blocked from viewing. Don’t worry though as there is a really easy way to watch Sherlock Series 4 outside the UK and with very minimal effort. Below I’m going to show you how. To watch Sherlock Series 4 outside the UK in any country in the world you’re going to need to sign up for a VPN service. A VPN allows you to disguise your online location and virtually reside elsewhere which in a nutshell will give you access to services like BBC iPlayer regardless of where you are in the world. There are tons of companies that offer VPN services but our number one rated option is IPVanish. To watch Sherlock Series 4 you need to sign up to their service which you can do so by clicking the orange button below. 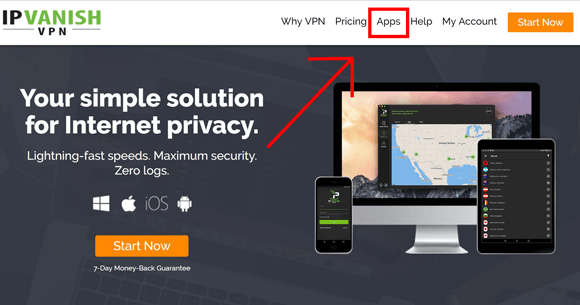 The VPN service will cost you $6.49 per month if taking an annual package which is approximately £4 – £5. Once you’ve signed up to IPVanish you need to download either their software for your computer or laptop or their app for your tablet or phone. To download their software you can do this by clicking the Apps areas of their website. If you want to download their mobile or tablet app then you should visit either the Google Play Store or the Apple App Store. Once you’ve downloaded and installed the software or app you should run it. You’ll need to log in with the details you supplied when you signed up to the service. 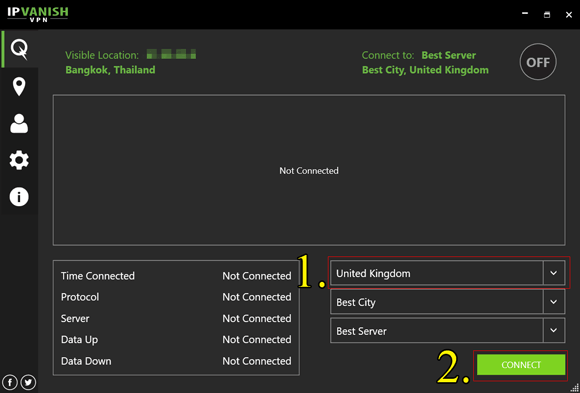 Once logged in you should select the United Kingdom option and press Connect. The software will now make connection for you. Once it has connected you can visit the BBC iPlayer website and watch Sherlock Series 4 live or if you miss the live show you can use the catch-up service to watch at a later date. Don’t forget Sherlock Series 4 starts on Sunday, January 1st, 2017 at 8:30pm GMT and will be shown every Sunday afterwards. When you’ve finished watching Sherlock you can simply disconnect from the VPN service and your connection reverts to normal. Next time you want to watch Sherlock or any other show on BBC iPlayer simply reconnect anytime. If you haven’t already you can sign up to IPVanish to watch Sherlock Series 4 outside the UK from any country in the world by using the link below. 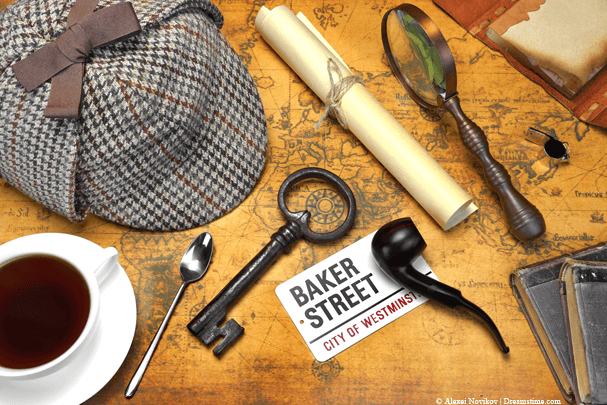 Sherlock has become one of the most popular shows worldwide and Series 4 will be no exception when it comes to thrills and spills. A year ago Sherlock led us to believe that Moriarty was dead and he knew exactly what would happen next but as with any good show we were left in suspense. The first episode is called The Six Thatchers which will be the New Year start to the series with the follow up on January 8th called The Lying Detective. Sadly Series 4 may be the last for a while as Benedict Cumberbatch hinted that all the main cast are busy with other projects and while Sherlock may return in the future it’s unlikely to continue its regular yearly run. If you can’t wait until the 1st January take a look at this trailer to get you all excited. If you’re interested in knowing why you’re blocked from viewing outside the UK without using a VPN then it’s simple. An IP Address is a series of numbers, for example, 123.98.0.108 which is similar to a phone number and allows the internet to function. It helps websites know who requested what and where to send all the bits of data. IP Addresses are assigned geographic locations and it’s from this information that websites like the BBC iPlayer can block you from viewing. By using a VPN from IPVanish or one of the many other VPN Companies out there such as ExpressVPN you can alter your IP Address to one from another location and because of this the BBC iPlayer website will then let you watch Sherlock Series 4 outside the UK.